Air suspension products is the fasted growing category at Westar! More and more OEM manufacturers are turning to air suspensions to give the vehicle a smoother, more luxurious ride on all type of terrains. 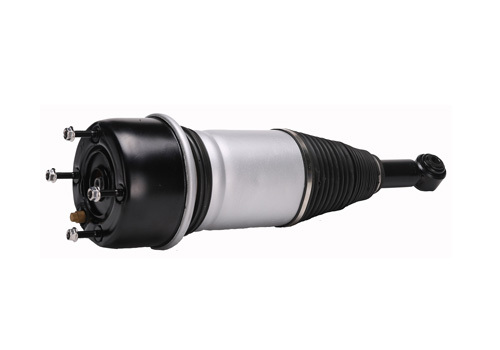 This same air suspension system can also be used to raise or lower a vehicle based on speed to give a more stable ride at higher speed, while allowing slightly more ground clearance at lower speeds, Whether you are looking for new complete units for replacement, or new components to rebuild your existing assemblies, contact Westar for you air suspension needs. Westar understands the importance of quality. All of our product is designed to meet or exceed OEM specifications on quality, fit, and function. Our factories use only top quality components, and manufacture to strict ISO, QS, and TS Standards, as well as others. All product that we supply in new, we do not sell re-manufactured units. Not only do we sell complete units, but we also sell new components to rebuild your existing assemblies. All of our air springs, air struts, and air shocks carry a Limited Lifetime Warranty. We also back our Compressors, Filter/Dryers, Relays, and Solenoids with a 12 month/12,000 Mile Limited Warranty. Westar supplies 3 of the major components for your vehicles air suspension system. Rubber Bellow with a crimped over a top plate and piston. This bellow bag expands and contracts based off the road conditions to dampen vibration. 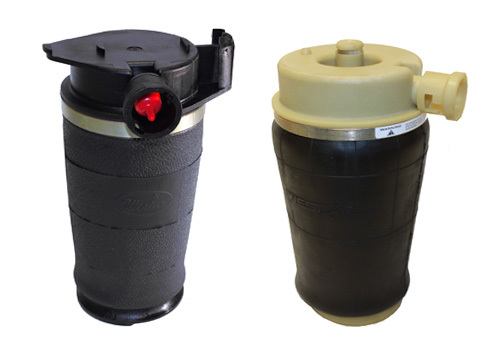 The air spring can be mounted separately, or as part of an air strut assembly. A passageway for the air to pass from the compressor to the air spring. These act as doorways to regulate the amount of air going into and exhausting from the air bag. They can be mounted in one of 3 ways: on the air bag, on a separate block in the air line, or attached to the compressor assembly. The compressor pumps the air into the system. It is controlled by the computer. The filter dryer removes the moisture and contaminates from the system. The airs passed from the pump through the filter dryer. Moisture is a major enemy of an air suspension system, and it is recommended that any time that a system is opened, the filter-dryer be either replaced or re-charged. Other components that affect the way that you air suspension system works include: ride height sensors, relays, vibration insulators, and control modules. All of these components work in unison to give the vehicle a smooth and even ride. 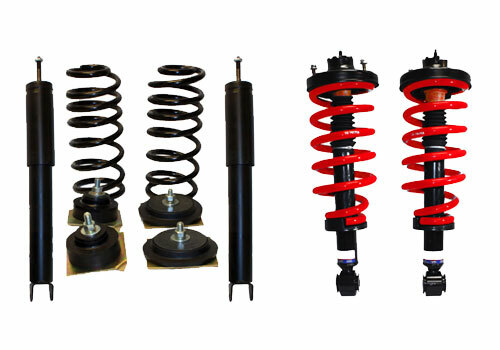 Westar offers a line of air spring to coil spring conversion kits. These kits offer the vehicle owner a way to convert their active air suspension system to a passive system at a significant cost savings of replacing the components. We offer kits that will convert you air system to either a coil spring system, or a passive air system, depending on the vehicle. We include all of the necessary fittings and adapters to install the system correctly and to restore the vehicle to its original ride height. Westar currently has over 200 active part numbers in the air suspension line, with new part numbers being released on a regular basis. Our coverage includes: Audi, Bentley, BMW, Ford, GM, Jaguar, Land Rover, Mercedes Benz, SAAB, & Volkswagen.